There’s nothing better than a glass of freshly squeezed orange juice to quench your thirst. Drinking fresh juice is the best source of liquids for your body. The sugars are natural, enzymes are still alive, and the vitamins and minerals haven’t been diminished from pasteurizing. 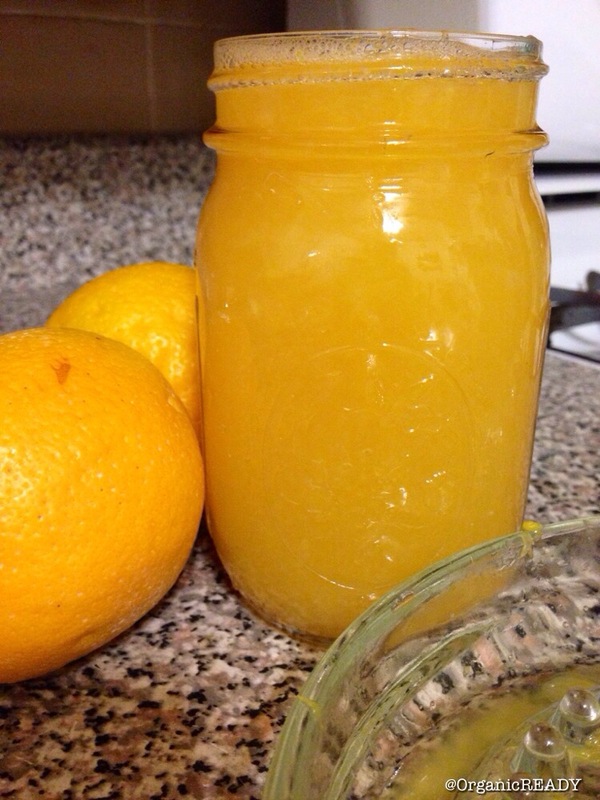 I have an old fashioned glass citrus juicer, and I use all the time. It’s not messy, and it is very easy to clean. I also have a Breville Juice Fountain Elite juicer. I’ll use the Breville if I’m juicing greens, carrots, or apples. I love it too. I make fresh juices for my family all the time. It’s so simple and take very little time to do. I believe drinking homemade juices provides us with beneficial protection against free radicals and immune support. An orange has over 170 different phytonutrients and more than 60 flavonoids, many of which have been shown to have anti-inflammatory, anti-tumour and blood clot inhibiting properties, as well as strong antioxidant effects. My message here today is to just take the time and make your own juices. The benefits are endless.